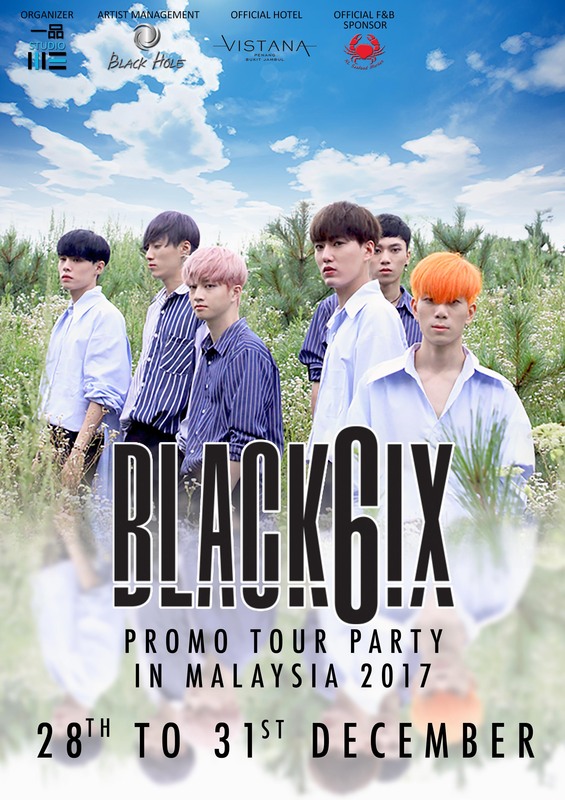 Spend your year end with 6 hot guys all the way from South Korea, Black6ix Promo Tour Party in Malaysia 2017. Black6ix, 1st boy group debut under Black Hole Entertainment based in South Korea finally will meet Malaysian fans by this year end. They will have a four day promotional tour starting on 29th December 2017 to 1st January 2018. 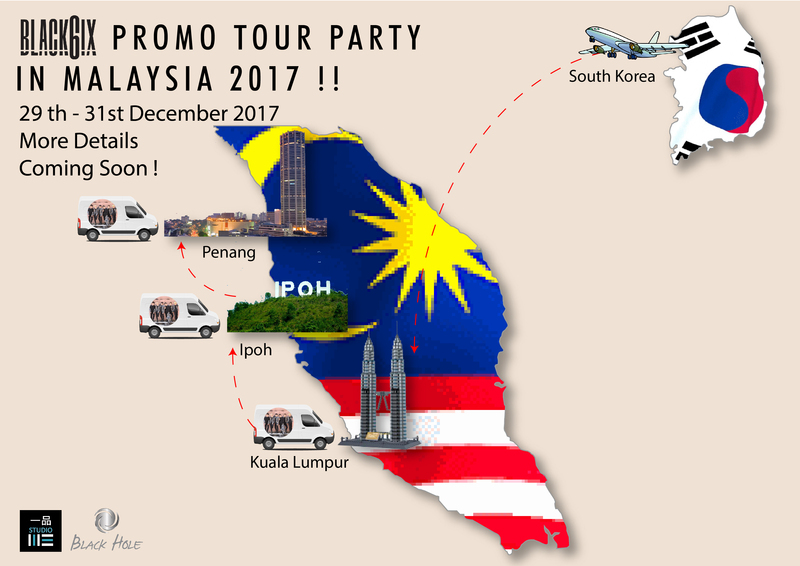 This time round, they will expand the promotional tour to Northern Region of Malaysia and to celebrating New Year's Eve 2018 with fans. Black6ix officially debut in 2017 with 6 members. They are Tae Young, Yong Seok, Jong Woon, Ziki, Yey and The King. During their promotional tour, they will promote their latest singles ‘Like Like Flower’ and ‘Please’. This will be their very first time to visit Malaysia, so they are preparing many wonderful shows special for fans. On the other hand, Yipin Studio also taking so much effort and consideration in organizing this meaningful promotional tour. Not only will embark in Kuala Lumpur, they will also having extra miles to Ipoh and Penang to met their fans over there. Please give Black6ix your support during their stay this December. Get the latest Black6ix's Promo Tour Party in Malaysia at Yipin Studio Facebook.